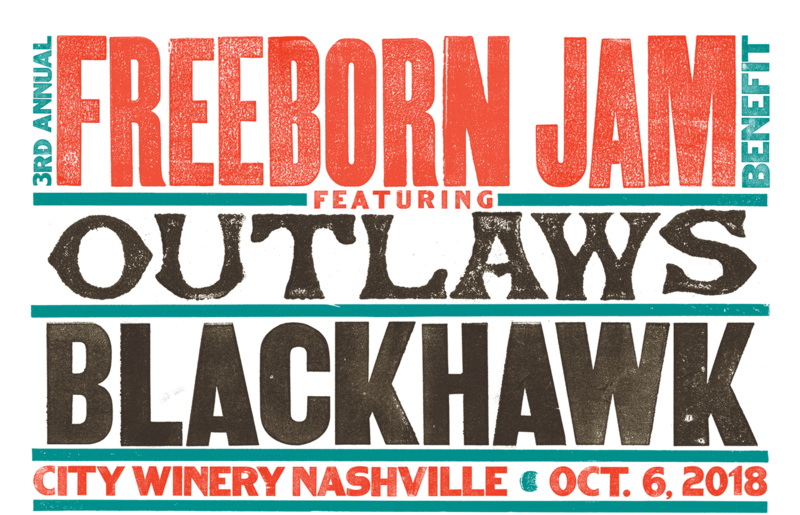 We are proud to announce that Saturday, October 6th has been selected as the date for our Third Annual “Freeborn Jam”. We have commissioned our friends at Swing From The Rafters to design and produce an original, numbered, event screen print (18” x 24”). These limited edition authentic screenprints are suitable for framing and included with the Fan Club Party ticket to the first 75 Party Attendees. Our longtime photographer friend, John Gellman, will document our annual fan club party participants with a classic once-in-a-lifetime group photo. Individual Meet & Greet photo opportunities will also be included and powered by Arcivr. As an added musical bonus my three-year-old son, Jackson, will sit in with the group as well. He knows all the words!!!! The FREEBORN JAM is a cornerstone event in our fundraising efforts and 100% of all money raised will go to both MusiCares and the Van Stephenson Memorial Cancer Research Fund. As in the past, we will be performing a complete show by both bands that evening, and will also feature our Silent Auction. Please make plans to be there and help support these very worthy causes.